Newcastle, Fulham, Manchester City and England. Jazeera TV in Qatar on Premiership and Champions League Games. 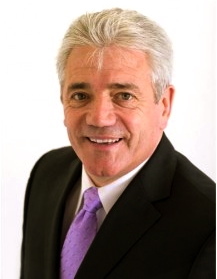 Born in Doncaster, Keegan began his football career in 1968 at Scunthorpe United, making his debut as a young seventeen year old. He moved from there to Liverpool in 1971 and went on to win three First Division titles, two UEFA Cups, an FA Cup and the European Cup during his six years at the club. From Liverpool Kevin joined Hamburger SV of Germany and secured further honours, winning the Bundesliga title and reaching the European Cup final. 63 times for England scoring 21 international goals. League title with two different clubs. Qualification for the UEFA Cup followed before Kevin stepped down in 2005. After a brief return to management with Newcastle he now devotes his time to his business interests and media work.